To conjure up an experience from glass and light is the endeavor of LASVIT, a Czech glass-making company, which cooperates with leading domestic and world designers. The beautiful and elegant pieces created by Czech glassmakers enchant the public spaces of universities, cultural centers, prestigious hotel chains and luxurious palaces all over the globe. 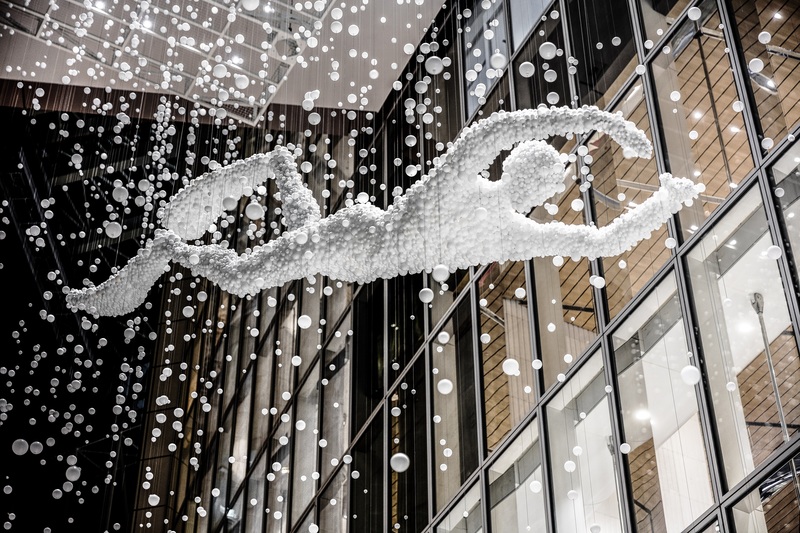 A good example is the 17-meter long glass sculpture titled Potápěč (Diver), created by thousands of air-filled hand-blown glass spheres, which is exhibited inside the Lotte World Tower in Seoul. Designer Maxim Velčovský was inspired by the rich diving tradition in the region and the motion of the meandering Han River. The bubble-like surface of the sculpture creates a feeling of air beads covering the skin when immersed in water. The Diver, floating in the atrium, hovers over the busy shopping area, just like the silhouette of the Lotte World Tower rising over the town and the river. 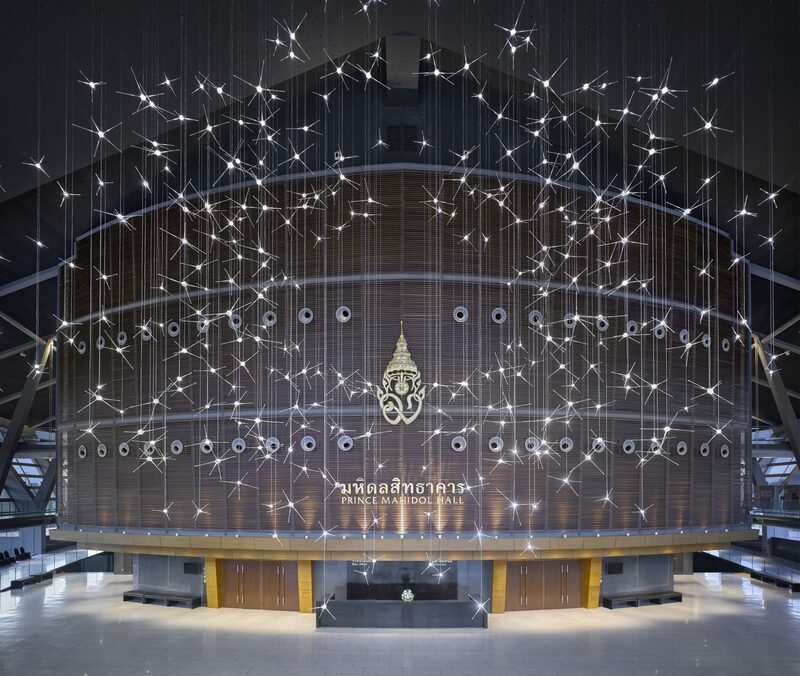 Another striking installation was created by LASVIT for the Mahidol University in Bangkok. The space housing the piece serves for theater performances, concerts, celebrations and meetings. The dynamic glass sculpture, titled Neurons, reacts to the music played in the concert hall with light and colors and transforms the rhythms and melodies into a visual experience. Individual LED sources light up inside the hand-blown glass elements and create the illusion of motion, controlled by music. The Dubai Opera House showcases a piece made from glass pearls. Designer Janus Rostock was inspired by pearl diving and fishing, the typical occupations for the natives of the city on the Gulf Coast in the past. Upon entering guests are greeted by the glass sculpture, titled Symphony, which is 27m high, 11m long and weighs five tons. 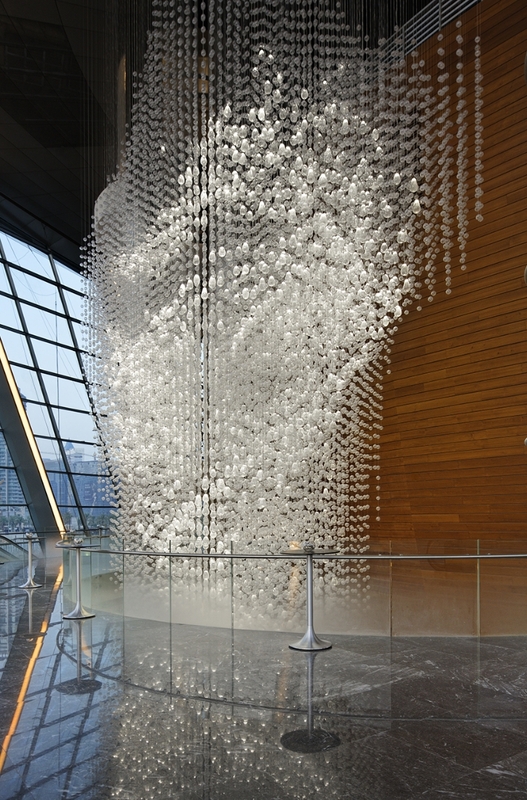 The sculpture is lit by almost 3, 000 internal LED sources placed inside the hand-blown glass pearls. The pearls are blown from the glass with small bubbles caught inside the mass. They increase the refraction of the light, which is a significant effect for the dynamic illumination of the piece. In a subtle reference to the trade that stood as the foundation of Dubai, the geometric spacing of glass elements resembles fishing nets moving through water. Craftsman from LASVIT restored four crystal chandeliers in the Palazzo Serbelloni in Milan, Italy. The chandeliers, crafted of Bohemian crystal at the end of 18th century, are composed of forty various components that have more than 1,000 elements. The restoration project required a combination of three glassmaking techniques. These included the production and replacement of hand-cut-crystal trimmings, hand-blown and cut components, as well as mold-melted and cut-glass arms. 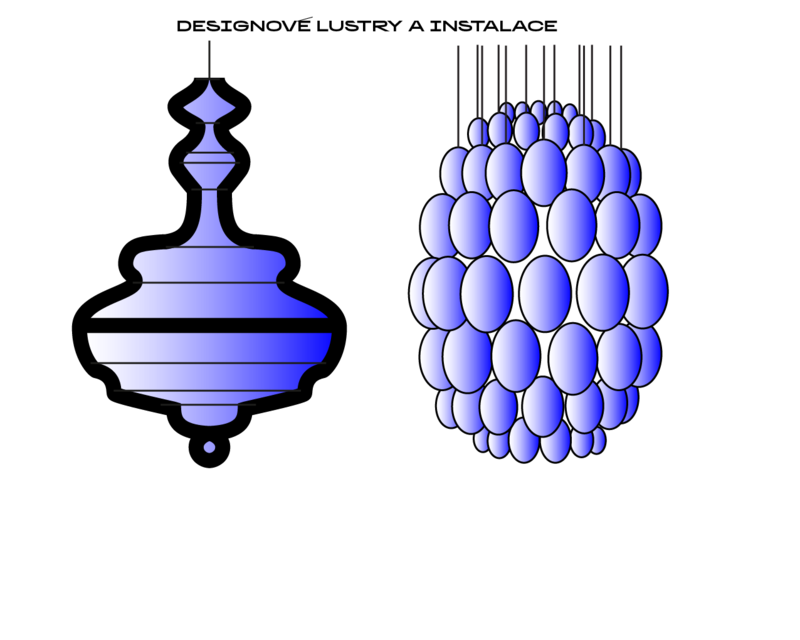 The original crystal components of the chandeliers were dismantled and shipped to LASVIT glassworks in the Czech Republic. 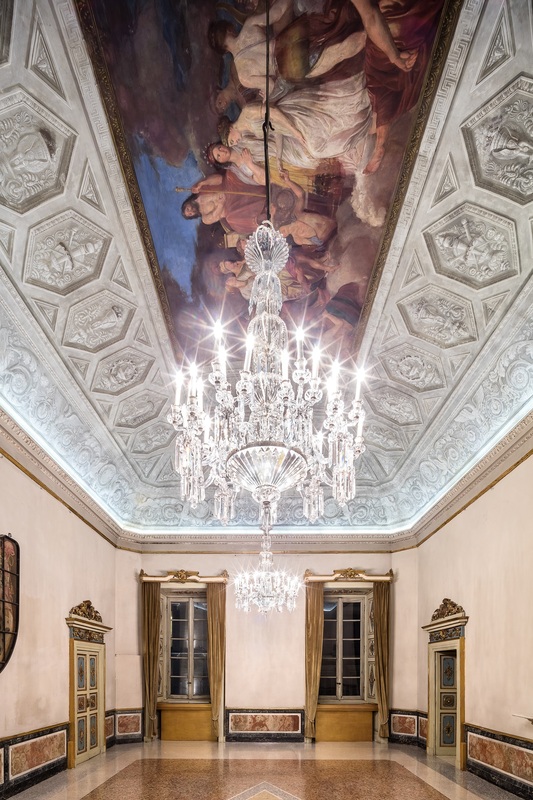 Thanks to a collaboration between Fondazione Serbelloni’s dedicated team and LASVIT’s skillful artisans, the chandeliers are now presented in their former glory. Liberec native Leon Jakimič founded LASVIT in 2007. A year later the company entered the Arab market, constituted a Dubai branch and began to execute orders in the Middle East. Asia and the US followed. Today this Czech company has 9 branches all over the world. 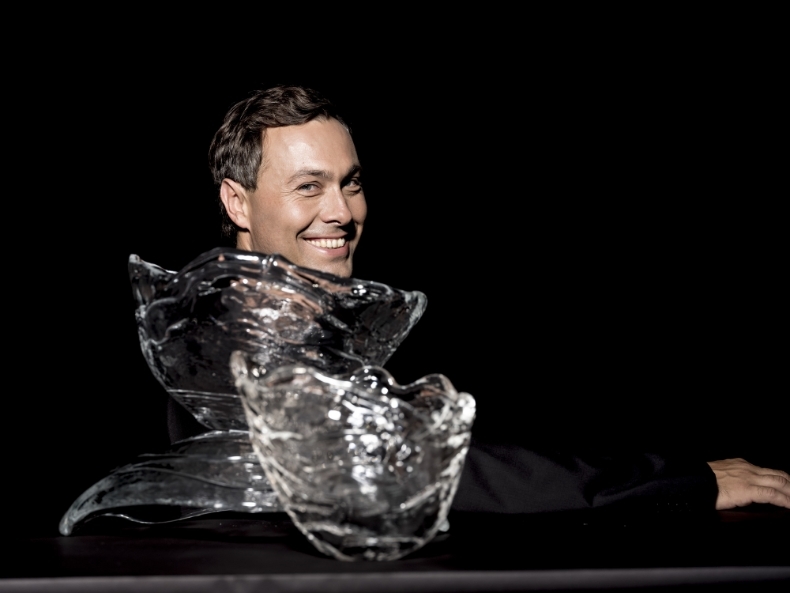 Maxim Velčovský has been the creative director of the company since 2011. 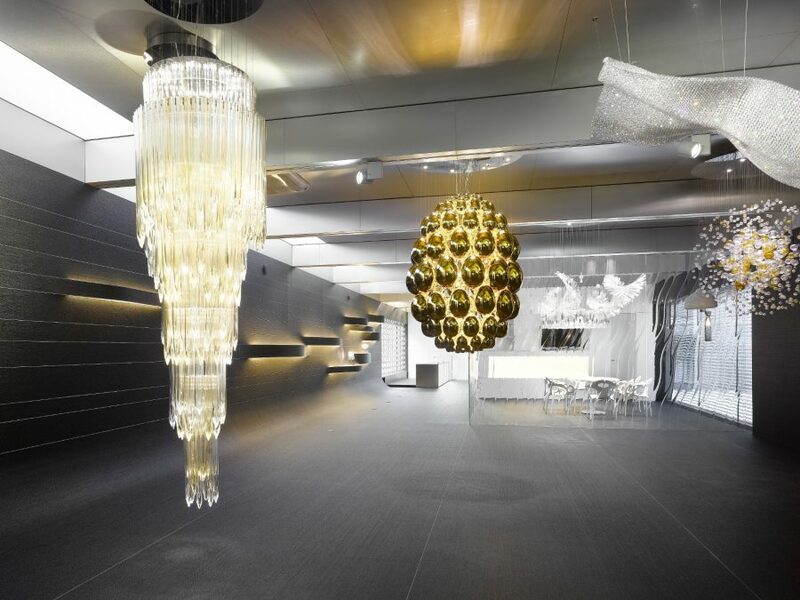 LASVIT focuses on designing, developing and customizing lighting fixtures and glass art sculptures, offering a comprehensive solution from design to final installation. During its ten years of existence, LASVIT has built an outstanding reputation at home and abroad with a characteristic combination of respect for traditional glass art, fresh ideas and innovations. LASVIT has worked over the years with many world–renowned designers and Czech legends such as René Roubíček and Bořek Šípek. The main production plant of the company, the glassworks, is in Nový Bor in Northern Bohemia; other factories, for additional metal components and installation of glass sculptures are in Mladá Boleslav, Pisarzowice near Lubin (Poland) and in Shanghai, China. The headquarters are located in Nový Bor, but there are plans to build a new central office in Liberec. In the future, the founder of the company wants to pay more attention to the B2C business model, offering authentic final products – vases, bowls, jewelry and perfumes – directly to the consumer.